You can’t go wrong with the classic, prong-set, crystal-clear diamond solitaire, but many of today’s brides seek a ring with distinctive personality. 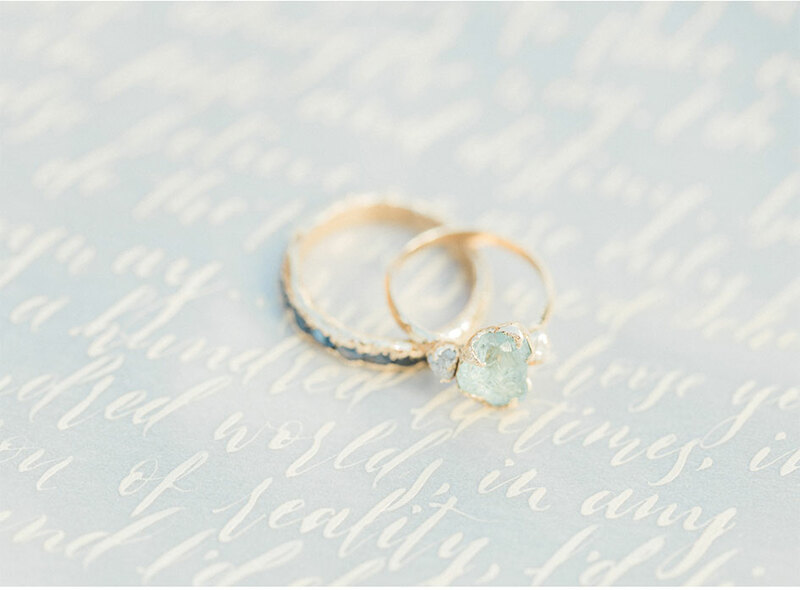 Colored stones, vintage rings, rustic diamonds and creative settings are all options for brides looking for something a bit different. 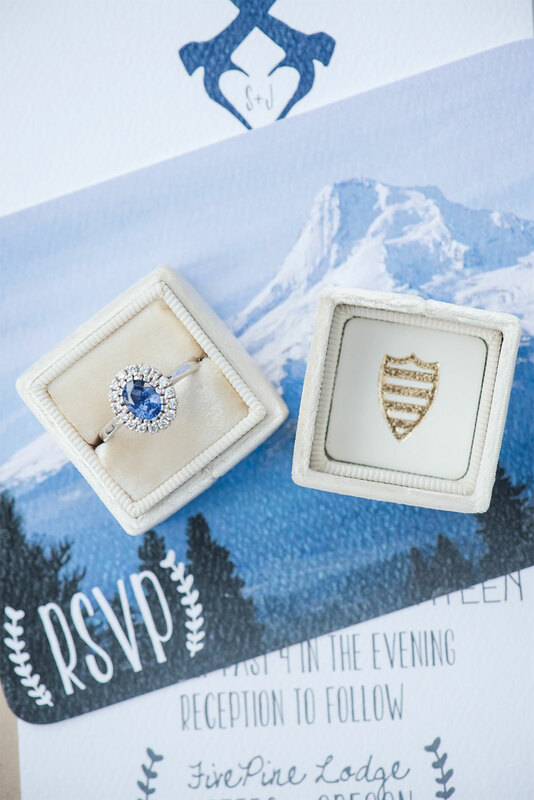 “They all want something that nobody else has,” says Liz Clancy of California-based Trumpet and Horn jewelers, which specializes in vintage rings and stones, and sells online. “Every girl wants that.” Pettigrew wanted a blue sapphire in large part because it wasn’t a diamond. She and her husband also got to be part of the design process, working with Villalon, owner of JCVT, on selecting the stone and the overall design. Victorian cluster rings, which have large stones surrounded by many slightly smaller stones, have been popular for Trumpet and Horn recently, while at Twist jewelers in Portland, Aleathea Perry has seen more requests for bevel-set rings, a design in which the stone rests in a cup for greater security. “They can keep the ring on while they are working and not have to worry about the stone,” Perry says. 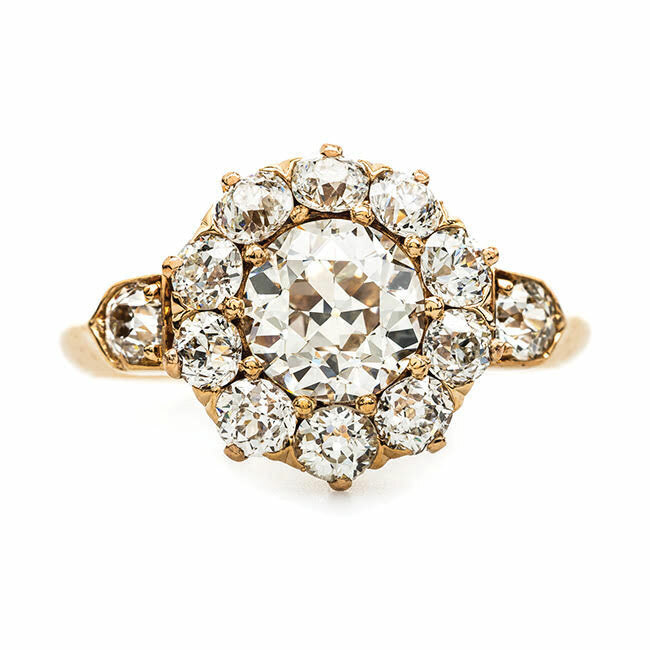 For nontraditional rings, Clancy says the typical diamond four C’s—color, cut, clarity and carat—are less important than the overall style, as vintage diamonds will never be as clear as modern diamonds. But as with all rings, Perry says, what’s most important is how it fits you. 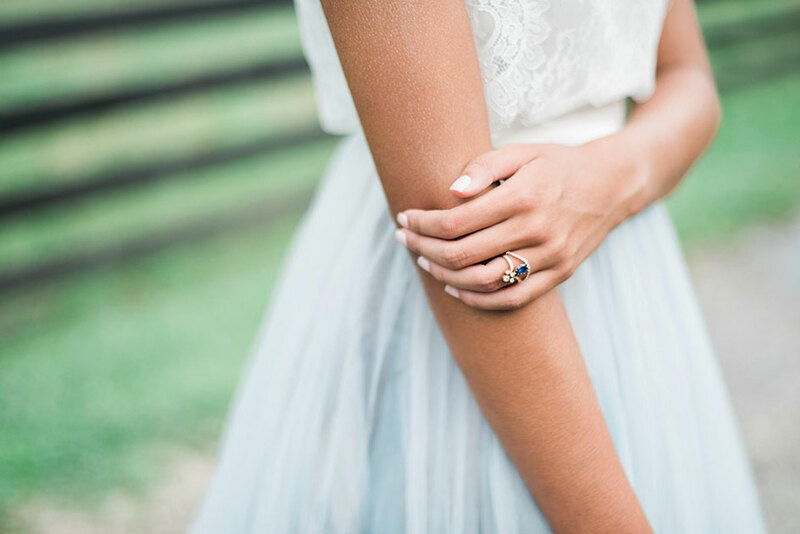 “You never know until you get it on your finger what you’re going to love,” she says.